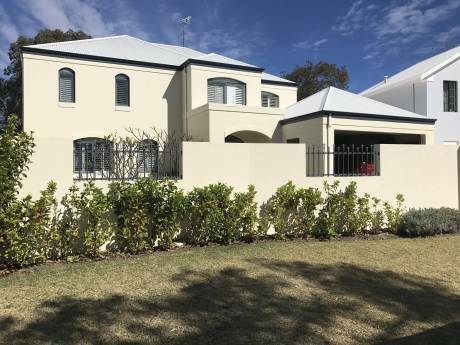 Located in the beautiful city of Mandurah, Western Australia, a moments drive to the beach, cafes or river terrace in town. Built in July 2010 on a canal in a very prestigious area. Contemporary home with all the mod cons. Very light and airy with beautiful outdoor areas. Water views from most windows. Feed the black swans, fish, or dolphin watch from our private jetty or jacuzzi. 40 mins train or car to Perth, 1.5hrs drive to the wine district Margaret River. My Husband and I own an earthmoving business in the mining industry in WA and have another home in the country nearer our work. We have two teenage sons so our home is set up for teenagers. 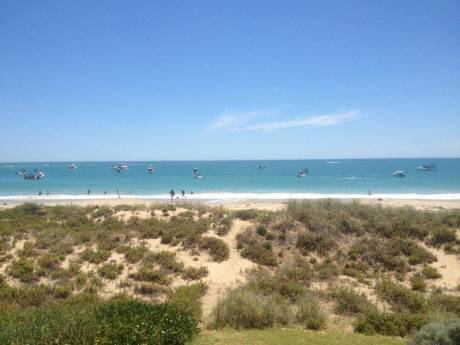 We enjoy a laid back lifestyle in Mandurah and love the weather and water recreational activities Mandurah offers. We love meeting new people and would love to show you our beautiful city. If you are into the beach, sun, relaxing with great wine or beer, eating good food and just taking it easy - Mandurah will cater for all your needs. M on the Point, Red Manna, Prontos.